The ESC Maritime Day is set to be the annual reference marine logistics event for shippers in Europe. 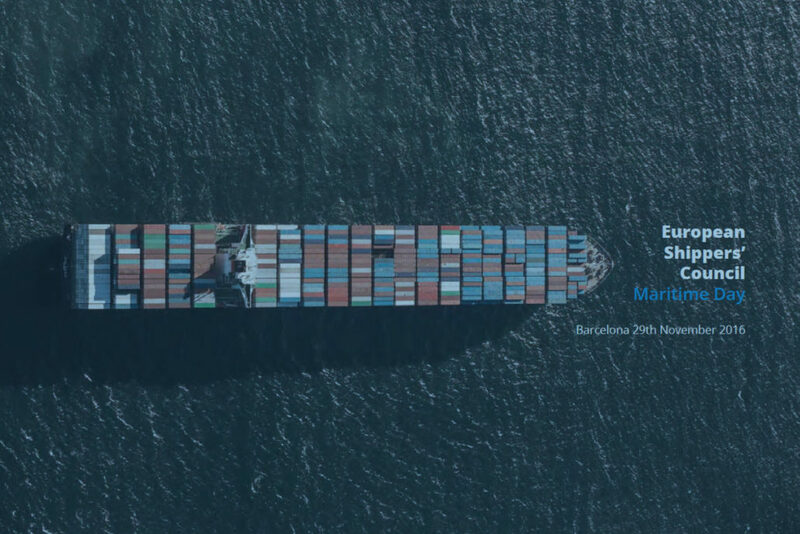 This third edition which takes place in Barcelona, following the previous sessions in Brussels (2014) and Antwerp (2015), contains the synthesis and conclusions extracted from previous years to openly discuss the maritime world with all stakeholders from a unique shipper perspective and to build new ways of thinking ahead of the current scenario. We trust that this singular session with two round tables and a unique networking experience with all agents here today will contribute to feed the dialogue and cooperation amongst all partners and will enlighten the path for building a smarter and stronger connected maritime common thinking. 09:20 Round table 1 · SOLAS: A new relationship status between stakeholders. How can a multi-carrier e-commerce platform bring visibility and ease of implementation to shippers, forwarders and carriers. Translating a new safety requirement into practical terms. Terminal operators: implications and solutions. Being between the devil and the deepsea when implementing a new regulation. How do shippers comply? The tare challenge. Setting the scene, what will be the future. What is the impact of the new alliances. Latest development in competition topics, GRIs, alliances, global summits, links with other competition authorities. Challenges faced by ports in the scenario of changing shipping alliances. Shippers’ view on the new alliances & coopetition scenario. Making global supply chain more transparent & resilient with safety and security to the highest level of commitment.